A security guard under contract with Westfield Valley Fair Mall in San Jose is under fire for pulling a gun on a mall patron who works for Apple last year, allegedly for running over an orange traffic cone. A December 2015 police report identifies the guard as Francis Abraham-Lancaster Fielding, whose license and firearms permit had expired six months beforehand. Fielding did not pick up the telephone when called by NBC Bay Area on Thursday. The report indicates Fielding ran after the car driven by 27-year-old Nicholas Buchanan of San Jose, a mall patron and Apple engineer, who admitted to police he ran over the traffic cone. 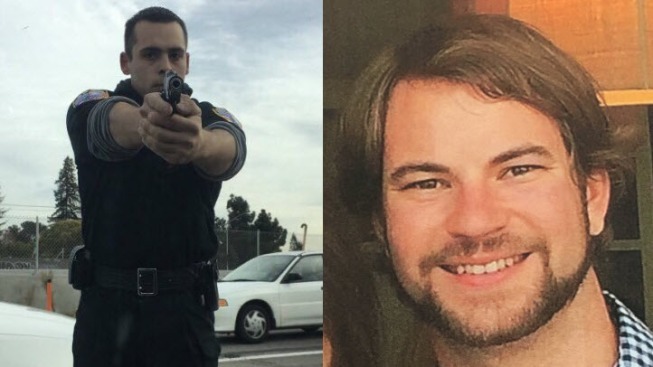 Fielding pulled out a gun, and ordered Buchanan to get out of the car, according to a lawsuit filed last week in Santa Clara County Superior Court. Buchanan was at the mall as a business guest and was stopped in a line of cars exiting the parking garage. He is being represented by San Jose-based attorney, Richard Alexander. A San Jose police investigator determined Fielding should be charged with "brandishing a weapon,” a misdemeanor. But the district attorney’s office did not file formal criminal charges. Buchanan's civil suit against the two guards, the security company and the mall alleges assault, false imprisonment, negligence and violation of the "Bane Act," an allegation that a police officer interfered with a person's constitutional rights by threats or intimidation. The security company that hired Fielding, SRMI Security, did not return a phone call seeking comment.